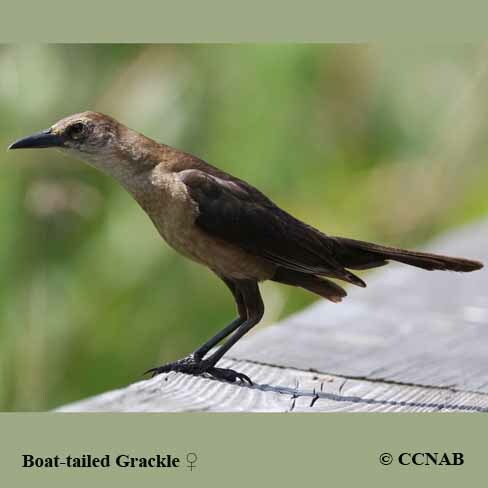 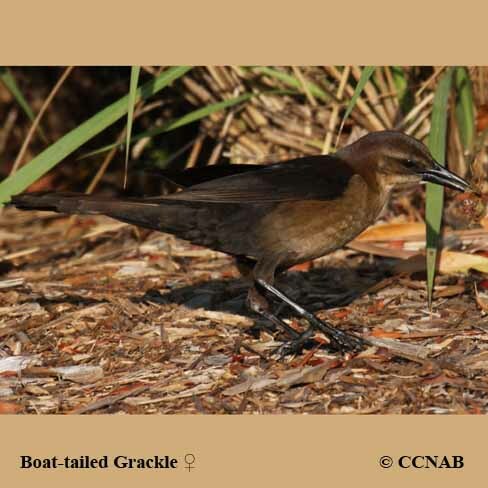 The Boat-tailed Grackle is the medium size member of the grackle family seen in North America. 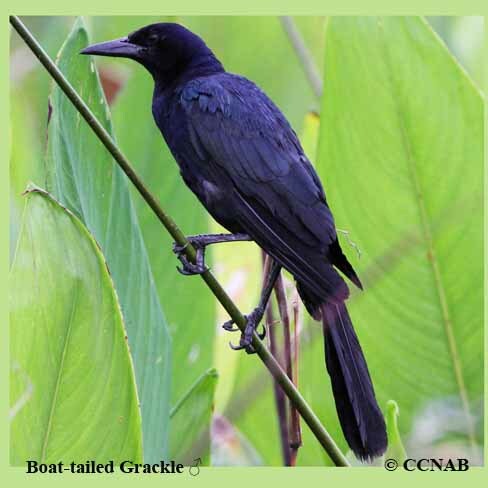 The males of these brilliant black coloured birds displays quite a show, when seen in their breeding plumage. 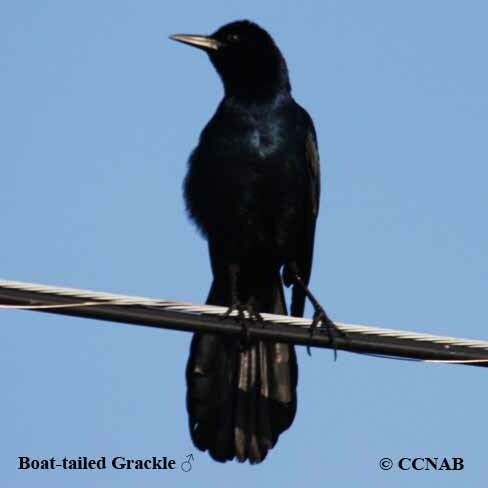 These birds have the smallest range among all the different grackles species. 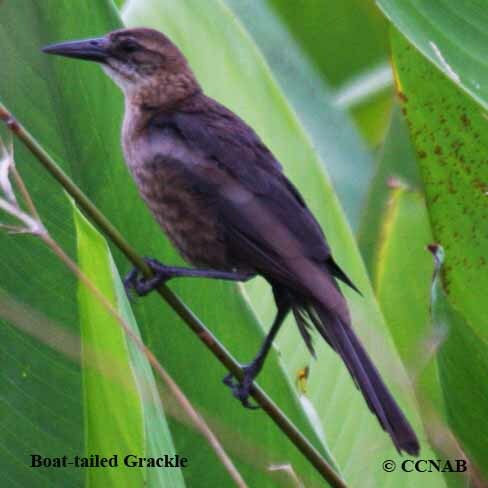 One of their main diets is the small lizards, that are so plentiful in their habitat.